There's an art to catching pests. We know, because we do it, day in, day out... we offer a discreet, reliable, cost effective pest control service for Peterborough, Huntingdon, March and surrounding areas. We're specialists at removing smaller pests as well, including... bedbugs, fleas, wasps, cockroaches, red mite, woodworm and product pests. We've got plenty of satisfied customers! DA Pest Control is an expert at removing larger pests, including... rats, mice, rabbits, moles. We offer a swift 24 hour service, 365 days a year and represent excellent value. Pests can come as a nasty surprise... but don't worry in most cases it's a simple operation to remove them. We offer a discreet service to make your home feel like a home again. "Who you gonna call?... DA Pest Control!" 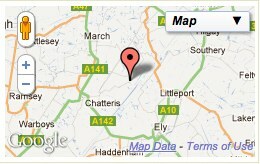 Pest Control Service for Peterborough, Huntingdon, March, Ely and Beyond! Pests can be a huge issue for just about every kind of residential and commercial property. Not only can they be unsightly and a concern the likes of rats, cockroach, wasps, mice, bedbugs and many other different types of pests can also carry diseases and cause a sizeable amount of damage to property. Fenland areas have their fair share of major pest problems as well. DA Pest Control of March offer a 24-hour service whenever you experience any kind of pest issue. We’re highly trained experts who carry out pest control services in Peterborough, Huntingdon,Ely, March, Kings Lynn, pest control wisbech and surrounding areas. We also offer an emergency service to best supply you with the most effective pest control services in the Fenland area. DA Pest Control offer very competitive rates and we have the experience and extensive expertise to help eliminate all of your pest control issues. At DA Pest Control you have the ability to contact a professional pest control specialist at any time of the day or night, no matter what the weather outside is like. You can feel comforted and secure that DA Pest Control services will be your number one company to rid your home, office or factory from the annoying and harmful problems associated with pest issues. We have treated and solved just about every single type of pest control problem imaginable and we’re extremely confident that we can help you fully solve your pest problems as well.. no matter how big or small they are.